the Alcantara Gorges to name a few. We recommend that you bring a car or bike in order to be fully independent and able to explore the area. Just a 15 minute walk away you will find an amazing pizzeria and a little shop for your basic needs. A 10 minute drive away is the picturesque town of Piedimonete. Enjoy the amazing patisserie at Cali bar in Piedimonte, or in Sant'Alfios main square, enjoy Mountain cuisine in the local restaurants, or just go to Taormina or Giardini Naxos to eat fish, the possibilities are endless. Getting around: The farm is well connected to the A18 (CT-ME) and only a few kilometers from Fiumefreddo. 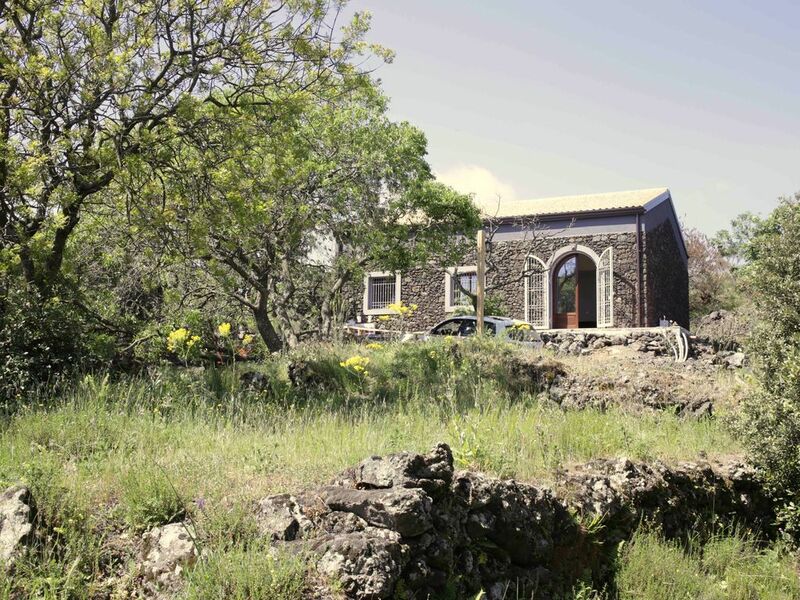 Nearby is the picturesque village of Piedimonte Etneo where you can find the bus stop and the Circumetnea (train of Etna). Catania, Taormina, the natural marine reserve of Marina di Cottone and Syracuse are all reachable by car. In the local area you can make food and wine tours, and experience the amazing amazing red wines made from Nerello Mascalese. Mount Etna. Piedimonte is the nearest train station, and from here there is the bus to Presa, but we advise you as you by car.